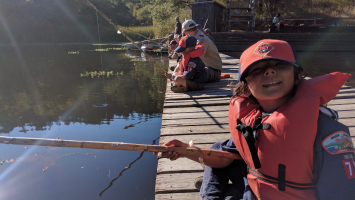 Cub Scouting means “doing” – from camping to hiking to going on field trips or doing projects that help your hometown and the people who live there. The year-round program offers fun and challenging activities that promote character development and physical fitness. 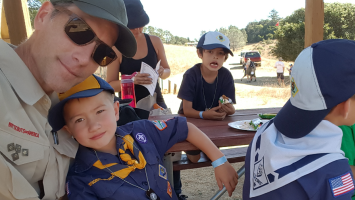 In Cub Scouting, children and their families have fun and adventure together. Family involvement is an essential part of the program, and parents are encouraged to play an active role in making the most of the short time they have to impact the lives of their children. 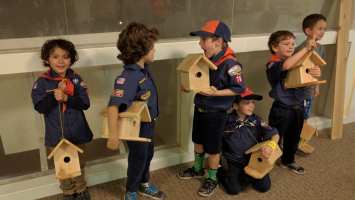 Cub Scout activities include community service, sportsmanship, and good citizenship. By preparing young people to make ethical and moral choices, Scouting leads to personal responsibility and high self-esteem.